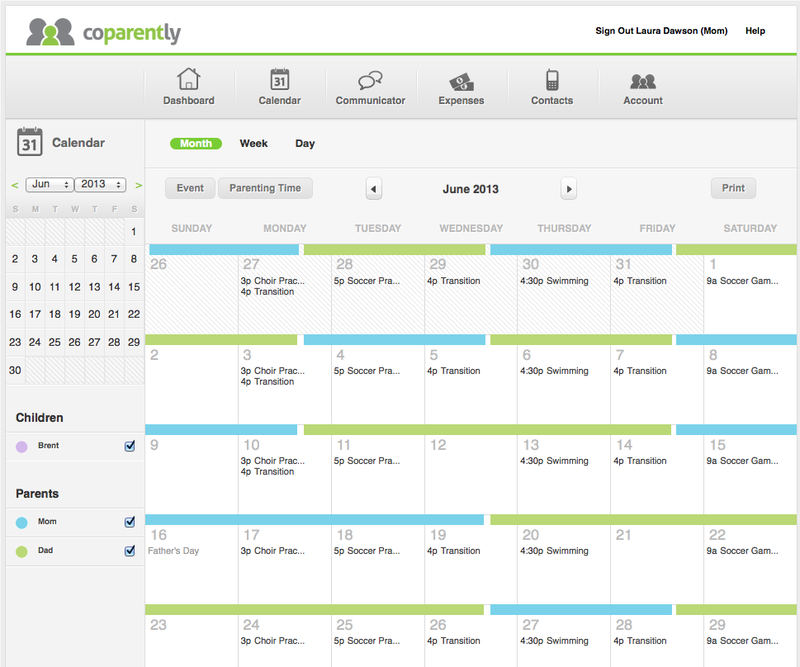 Organize and manage your parenting time - all in one place. Take surprise out of the equation and make sure you’re always in the know. Parents can set up and manage their child custody schedule online using our color-coded, easy-to-use, intuitive calendar. You can view by day, week or month. &checkmark; Online calendar with specific scheduling functionality designed for every type of co-parenting relationship: divorced and separated parents, co-parents, single parents, blended families, joint custody, sole custody, collaborative and high conflict parents. &checkmark; Set up and manage your shared parenting schedule. &checkmark; Color coding for each family member means you can easily manage each child’s schedule and see at a glance who has custody on a given day. &checkmark; Keep track of your kids' activities, appointments and events and important pick up/drop off information. &checkmark; Unique acknowledge and approval system so both parents are always in sync. &checkmark; Receive alerts for upcoming events, appointments and transition times. &checkmark; Request custody schedule changes: our unique approval system immediately notifies both parents as well as caregivers of any requested changes to the custody schedule. The other parent and/or guest users can accept or decline the event by clicking on a single button. &checkmark; Arrange pick ups and drop offs. &checkmark; Organize vacation/Public Holiday schedules. &checkmark; Track events such as doctors appointments, school functions and activities. &checkmark; Free guest user access to your custody calendar: you can choose to include your children, child caregivers, extended family, family law professionals or anyone else that you want to be able to view your calendar.